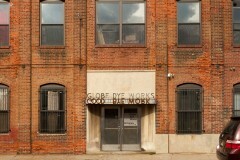 Good-Bye Work is a two-part installation for the Globe Dye Works building in Philadelphia, PA. 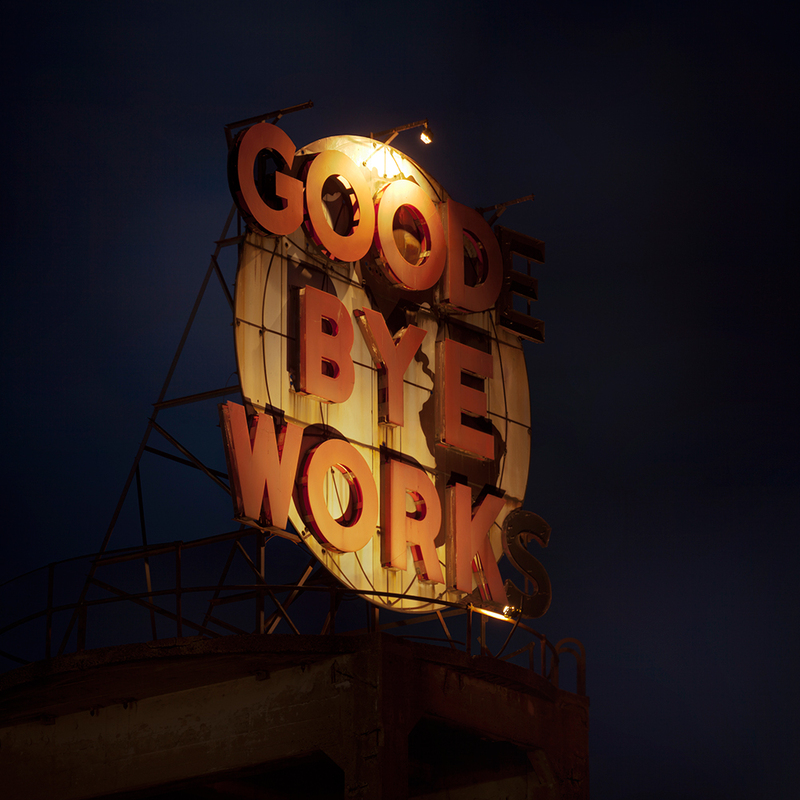 It considers the socio-economic impact of the closure of the company, and its subsequent re-emergence as an artisan live-work development. 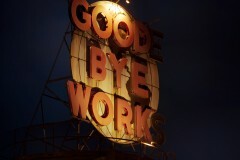 These considerations are framed in the context of global corporate practices, as related to the regional community, where outsourcing and off-shoring have undermined the economic base of American society. 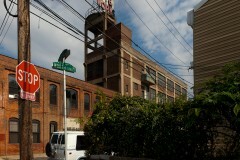 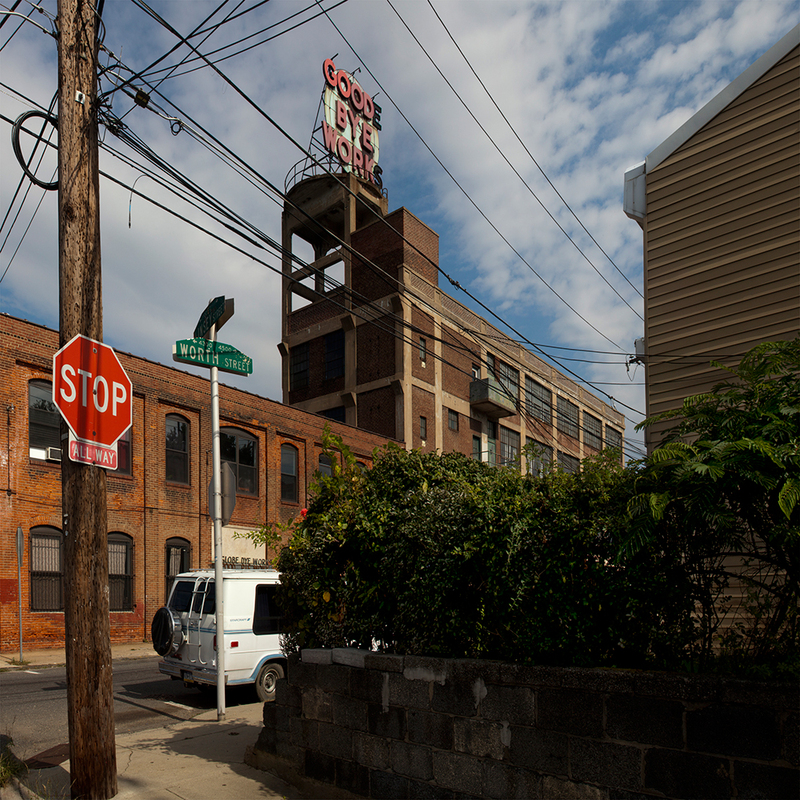 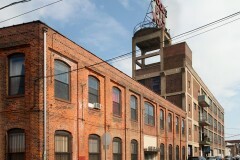 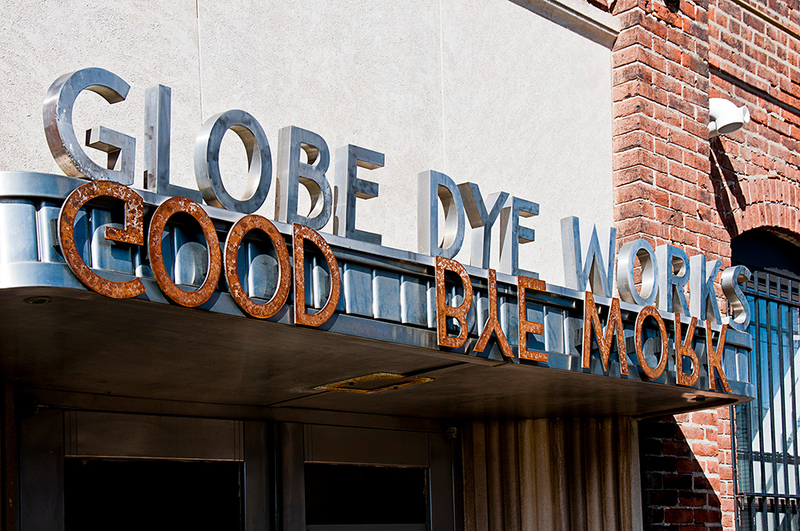 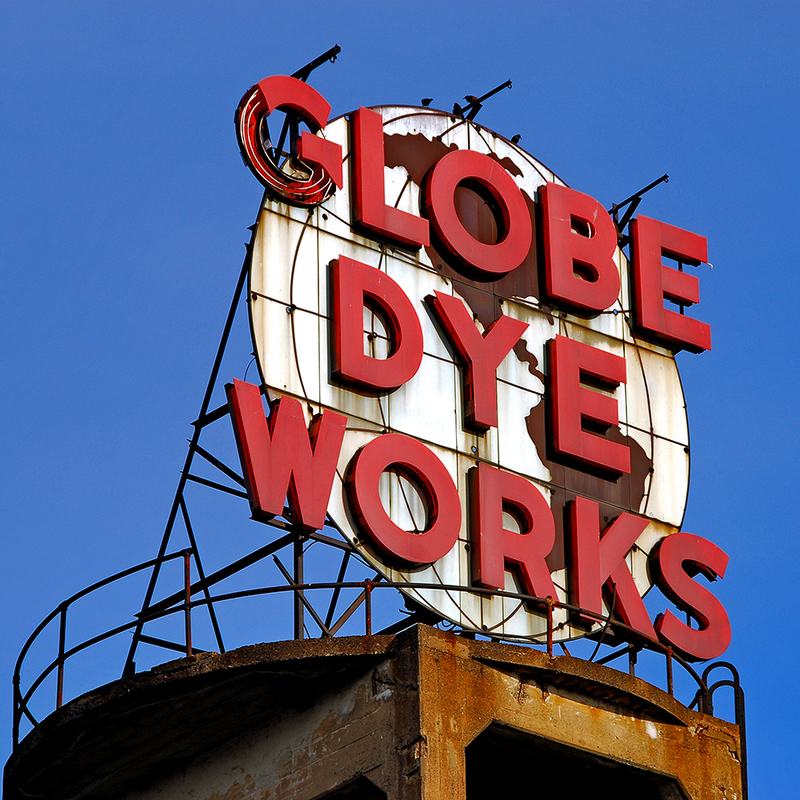 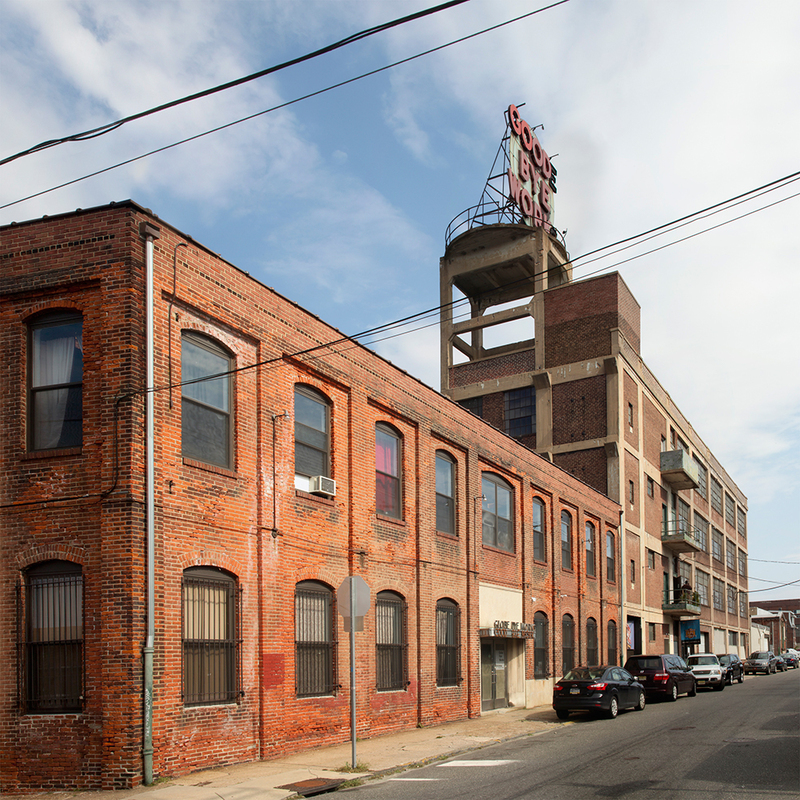 The existing letters of the Globe Dye Works’ rooftop sign were repositioned to read Good-Bye Work. This same message is reaffirmed by another installation located at street level, assuming the form of an inversed mirror reflection, underneath the original stainless steel Globe Dye Works sign. 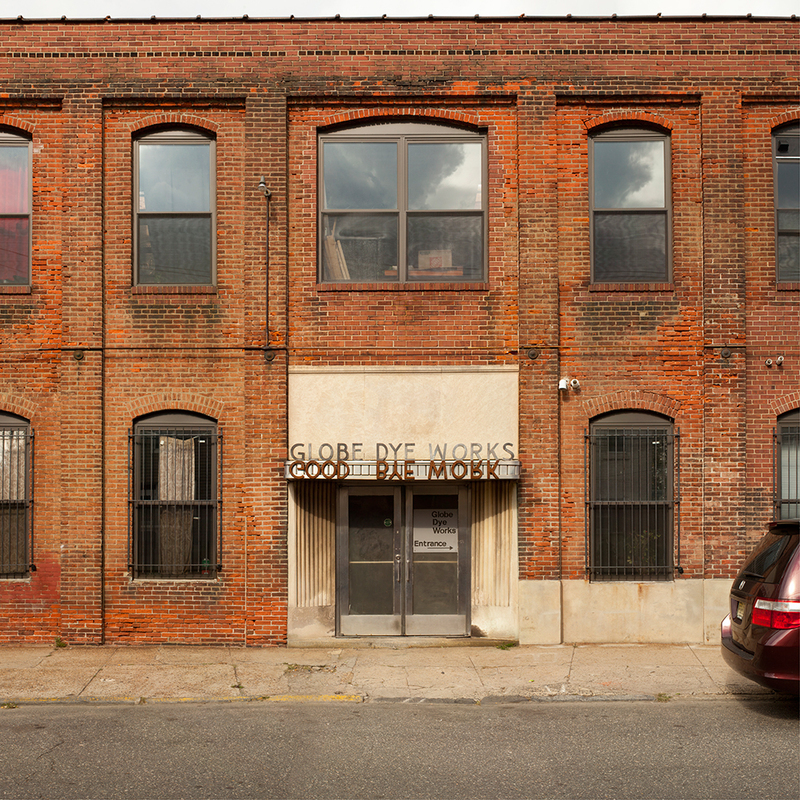 Through an appropriation and subversion of the visual language of corporate branding and promotion, the work encourages local awareness of real cause and effect conditions created through dependence on market-based global capital. 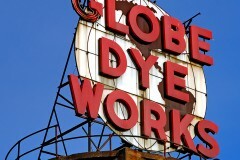 Arranging old letters on an old sign into new language, a new economic reality declares itself – the consequence of unregulated free-market initiatives.